LONDON, UK, 2018-Aug-02 — /Travel PR News/ — This month British Airways is set to improve its range of champagnes and English sparkling wines for customers travelling in its First class cabin and lounges, and in its Club World (long-haul business class) cabin, as part of its £4.5 billion investment across the airline over the next five years. 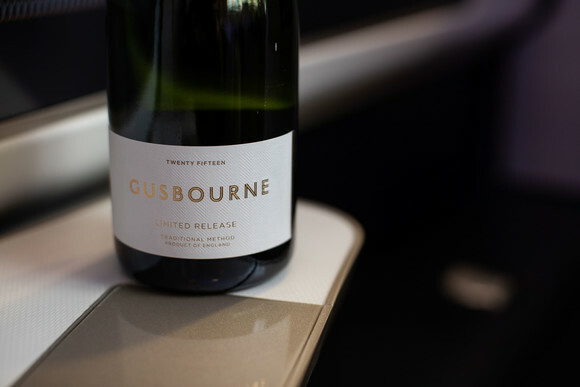 Castelnau champagne will continue to be served in the airline’s business class Galleries Lounges, while Laurent-Perrier’s Grand Siècle will also still be served in First. Improved food and drink represents part of the airline’s ongoing £4.5bn investment for customers. Of that, £600m is being invested in Club World, focusing on a new restaurant style dining service and a new sleep proposition with luxurious bedding by The White Company. Lounges are also benefitting from the investment and the airline has already unveiled new lounges in Rome and Aberdeen, with another new lounge due to open in New York later this year, followed by Geneva, San Francisco, Johannesburg, Chicago and Heathrow. · Customers traveling in Club Europe will be served Castelnau champagne in quarter sized bottles. This entry was posted in Airlines, Food & Drinks, Travel, Travel Services, Travelers and tagged British Airways, champagnes, Colin Talbot, wines. Bookmark the permalink.